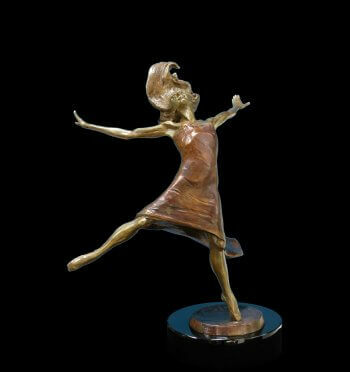 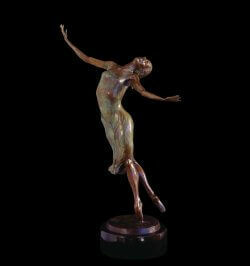 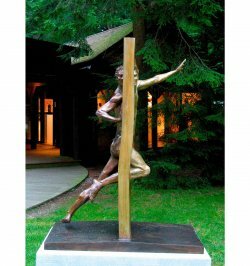 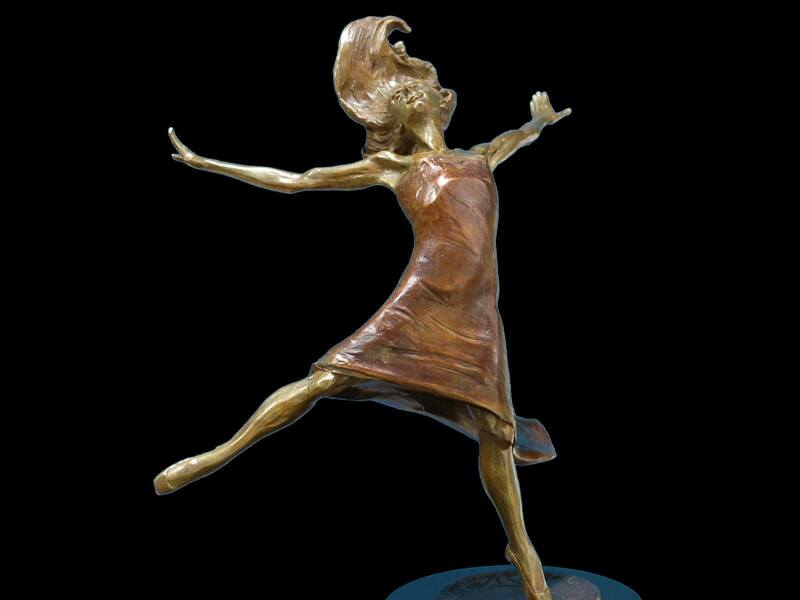 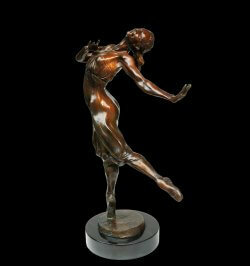 Rhapsody is a bronze dance sculpture that shows the exuberance of a dancer turning in flight. 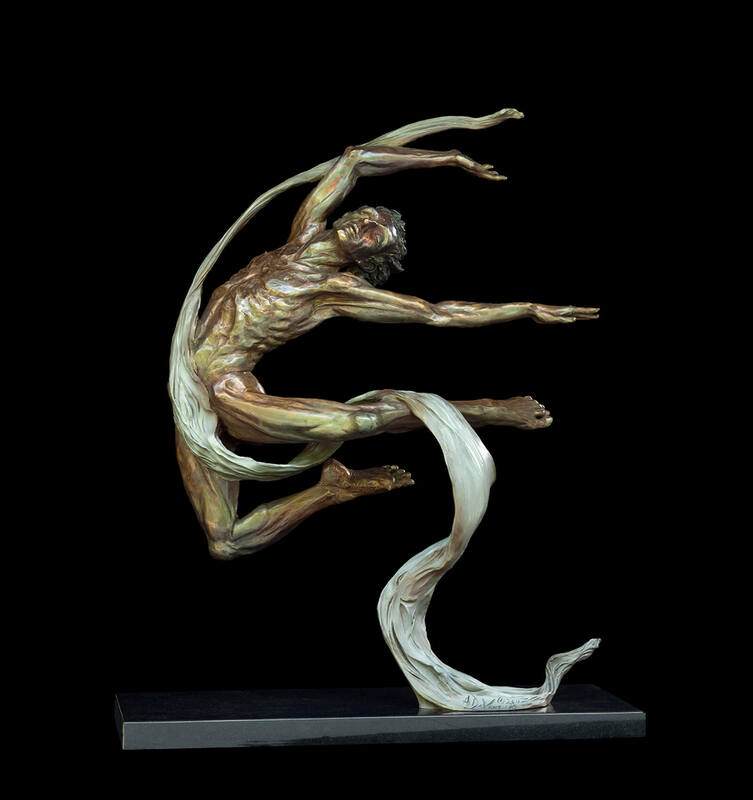 It is marked as an edition of 35, however the molds for this sculpture were destroyed in the fire that consumed casting studio in 2016. The last bronze cast and sold was the seventh in the edition. 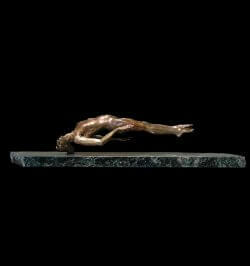 The edition is now closed.